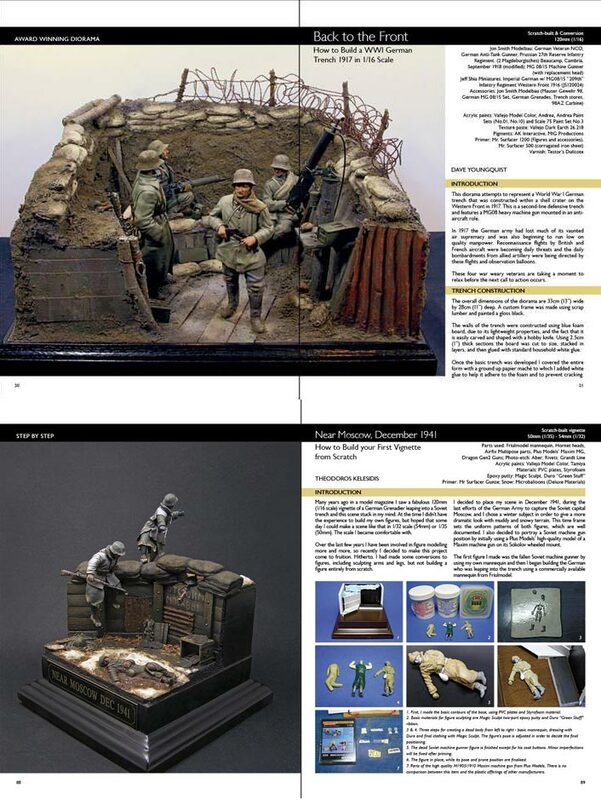 Welcome to the first book about modeling dioramas in Mr Black Publications’ series of Scale Model Handbooks. 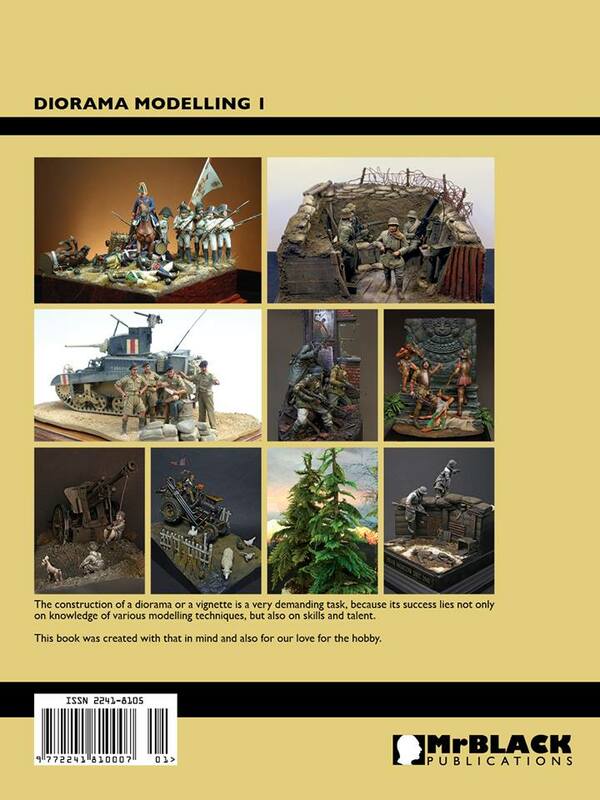 We promised in our first issue that our publications would eventually cover a greater variety of military modellling themes and now our first special issue dedicated to various types of dioramas has come to fruition! Softcover, 100 pages. Different approaches, techniques and step-by-step instructions are covered in more than 400 photographs and associated text. 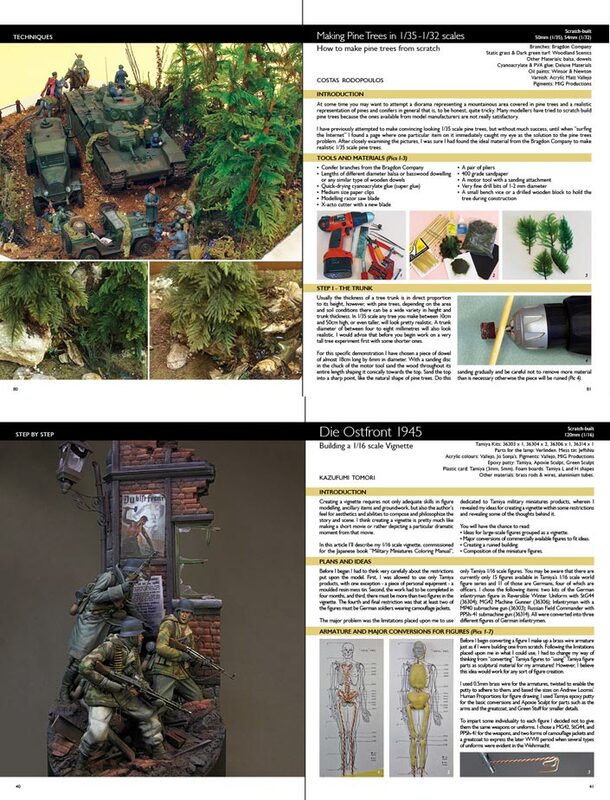 It took us about 18 months of intensive work to gather our material, since we wanted to cover many historical periods, such as Napoleonic, 15th century, WWI, WWII and not forgetting civilian based scenes, as well as considering the many different and popular scales of 1/35 (50mm) and 1/32 (54mm) to the larger 1/24 (75mm) and 1/16 (120mm) scale dioramas, to satisfy our readers' interests. 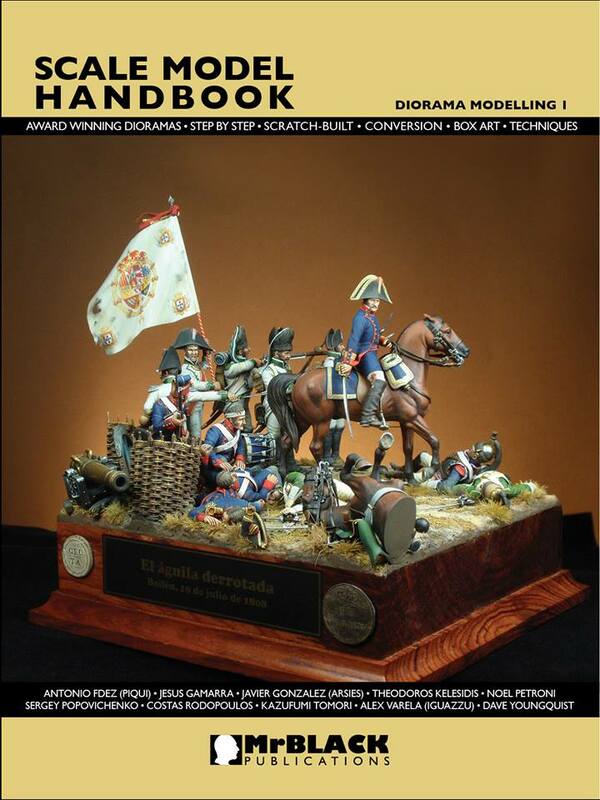 Our aim was to make this book a necessary and useful handbook for modellers everywhere.